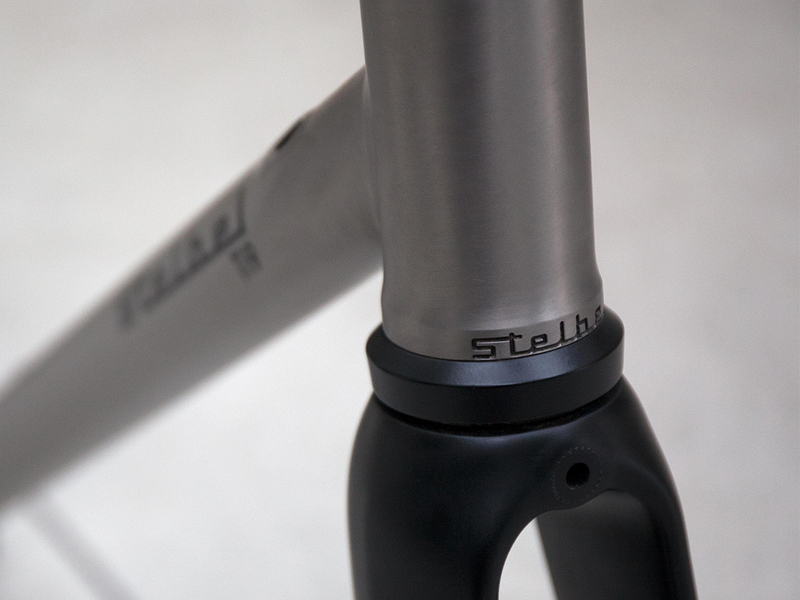 Stelio Belletti’s first experiments with titanium dates back to the late 1980s. The work was complicated and even today, it requires specialist equipment and skills. However for Stelio and his workshop these technical challenges could be met. In Italy there was already someone who was specializing in welding titanium frames. “A friend from the races” as Stelio called him, this individual provided some helpful advice on the material and thanks to this, a couple of prototypes were produced at Stelio’s workshop. However due to supply problems and the heavy investments necessary to specialize in welding titanium, Stelio decided to continue with steel, which at the time was extremely in demand and appreciated. 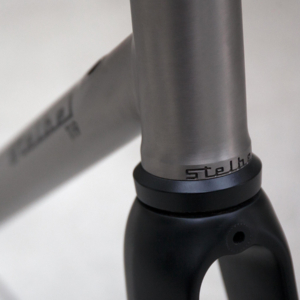 30 years on and after almost 2 years of development, prototypes and tests we are proud to present the first Stelbel titanium frame from the modern era. 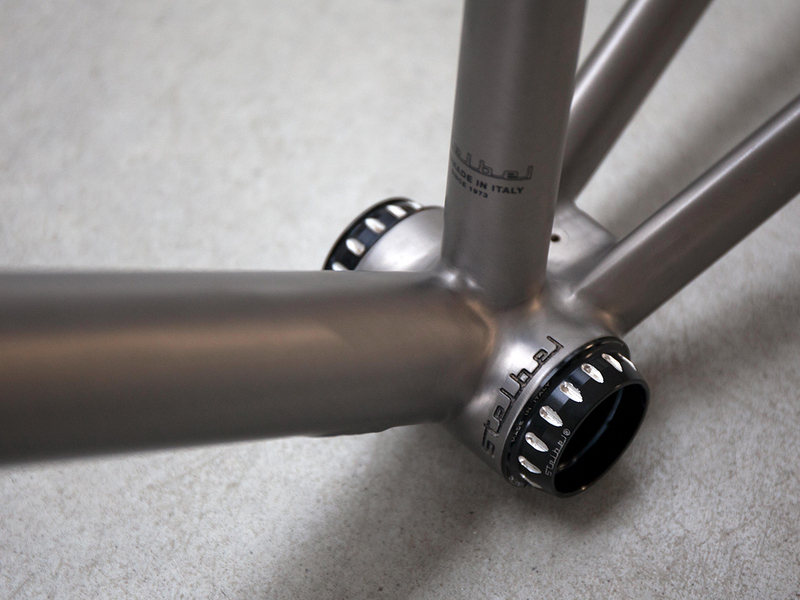 Made from grade 9 titanium, including a CNC machined head tube and both dropouts and bottom bracket made with grade 5 titanium. 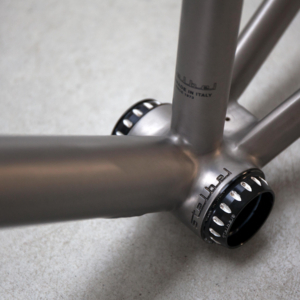 The rear chain stays are Grade 2, a choice dictated by the many tests performed and aimed at improving the mechanical characteristics of the frame.The bottom bracket uses the T47 standard and the cabling is internal. 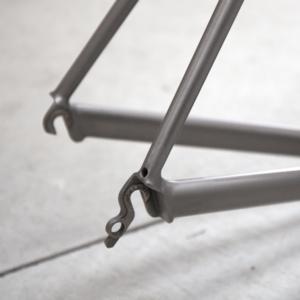 For its construction, the unique TIG Stelbel welding technique has been applied, common to all the models in the range. Technically refined and finished, each junction is hand filed to retain the features that have distinguished a Stelbel since the 1970s. 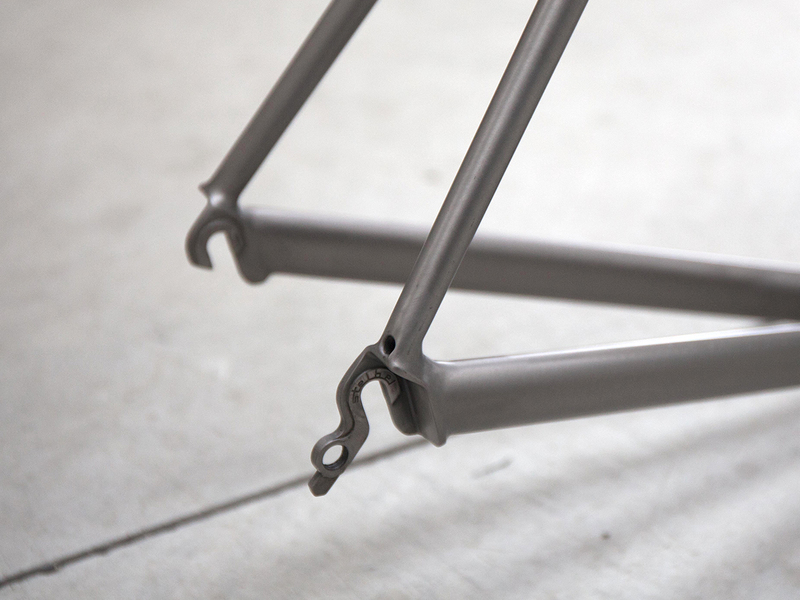 Each frame is made exclusively to order and made to measure. A flat mount disc version with thru axles will be available soon and more information will follow. 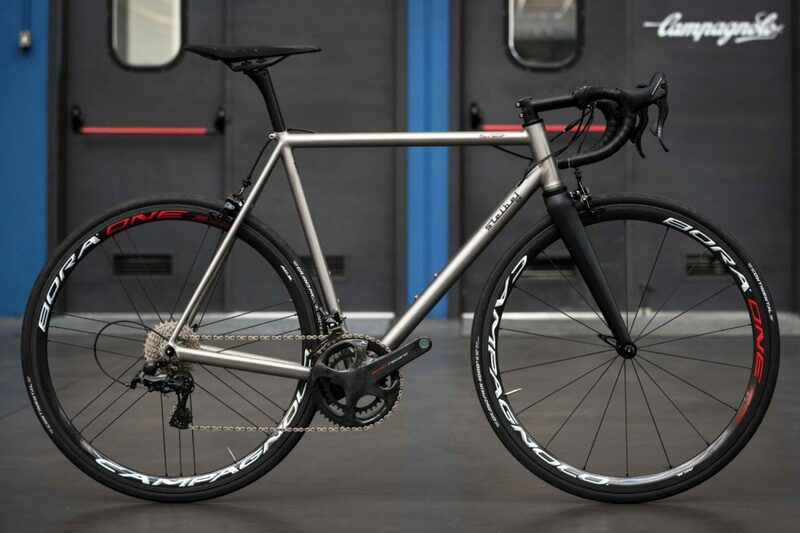 The final Ti9 prototype was chosen by Campagnolo for the video presentation of their new revolutionary 12 speed groupset. We are extremely proud and grateful to have our newest model included in this feature. For more information, please contact us at info@stelbel.it.